The tea story starts in China around 2750 BC. During this time, the Camellia Sinensis plant (also known as the Tea Plant) was found to have a number of medicinal properties. Legend says that an Emperor by the name of Shen Nung was sitting in the shade of a wild tea tree, boiling some drinking water, when a breeze blew a few leaves from the tree into the pot and gave the water a flavor that he found delicious. He experimented further and found it to have medicinal properties, as well as a pleasing flavor. He urged the Chinese people to cultivate the plant for the benefit of the entire nation. Over time, he has become the Legendary Father of Tea. In the early days of tea consumption, the leaves were picked and boiled in water to produce a rather bitter brew. The leaves were used primarily as a medicine and secondly as a pleasurable drink. It took over 3000 years for tea to become popular throughout the Chinese empire. 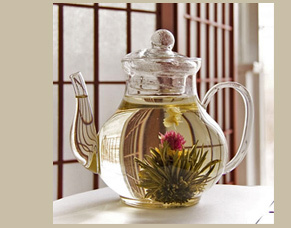 During the Tang Dynasty (600-900 AD), the popularity of tea was recognized by the imposition of a tax. During the Ming Dynasty (1368-1644), steamed and dried loose tea leaves became popular; however, this style of green tea did not keep or travel well outside of China. In order to protect their crop, Chinese merchants started to roast their leaves to prevent them from rotting. The leaves that were left in the air to oxidize produced black tea (or red, as the Chinese call it.) 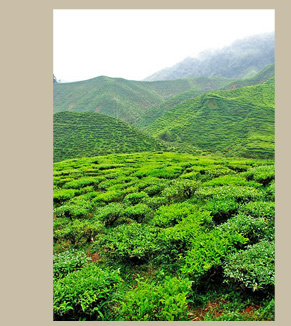 This tea was manufactured mainly for export, and the Chinese, even today, continue to drink the native green tea. The Dutch were the first to drink tea in Europe, shipping it in 1610, with the introduction to Britain around 1650. It arrived a few years after coffee had reached England. It was through the coffeehouses that the new drink spread to the people. In 1657, Thomas Garway, an English proprietor, had the idea of offering tea to the public, and it quickly became the drink of choice, far outpacing wines and liquors. Unfortunately for the government, Britain soon began to lose all the taxes accompanied with the sale of liquor. 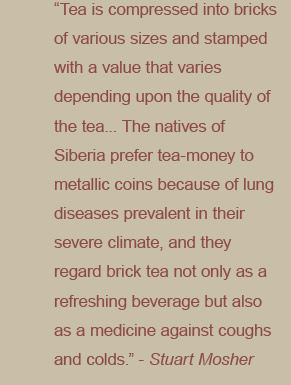 They quickly remedied the situation, however, by imposing a tax on tea. Nonetheless, it was not until the early part of the next century that it became a common beverage for the upper and middle classes. When the coffee shops became too disreputable for respectable people, it was in the pleasure gardens of London that royalty, aristocrats and ordinary working people took tea. In 1772, the tea tax was causing problems in Great Britain’s colonies in America. While many other taxes on goods bound for America had been repealed, the three pence per pound of tea remained firm. It was in place to offset the bankrupt British East India Company. Over a five-year period, the colonies paid duty on almost 2 million pounds of tea. Enraged by the tea tax and other shipping restrictions, The Sons of Liberty attempted to block the shipments of tea from arriving in Philadelphia and New York. On December 16, 1773, The Sons of Liberty let two ships sail into Boston Harbor. Disguised as Native American Indians, they emptied 342 large chests of tea into the harbor. This later came to be known as the Boston Tea Party. These actions by the colonists led the Parliament to pass a series of laws known as the “Intolerable Acts”. They limited the political freedom of the citizens and ultimately led to the Revolutionary War. In many ways, tea helped provide a cause for American independence. During the 19th century, tea drinking became an essential part of British social life. Tea parties and events were organized for all possible occasions, including family teas, picnic teas, tennis teas and elegant afternoon teas. Over the years, housekeeping manuals and cookbooks gave clear instructions about teatime invitations, etiquette, methods of brewing and serving, dress and tablewares. The tea party was the very symbol of elegance and prosperity. Although the first tea was discovered in China, several other areas of the world now contribute to the overall tea harvest. The first tea used in England originated in China, and it wasn’t until the 19th century that tea growing spread to Formosa and that indigenous tea was discovered in Assam. 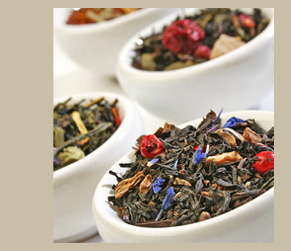 In 1839, the first Indian tea was sold in London. Around 1191, Japanese Zen priests brought tea seed back from studying abroad in China and began cultivating them in the southernmost part of Japan. The first tea in Africa was planted in the Cape in 1687, but did not progress until the latter part of the 19th century. The 20th century has seen the spread of tea in Africa, notably in Kenya, Malawi and Tanzania. The American specialty tea market has quadrupled between 1993 and 2008, now being worth $6.8 billion a year. Similar to the trends of better coffee and better wines, this tremendous increase was partly due to consumers who choose to trade up. Specialty tea houses and retailers also started to pop up during this period of commerce. The history of tea dates back almost 5,000 years and tea itself now has more than 3,000 different variations. The most widely consumed beverage in the world has both a historical and cultural importance that cannot be rivaled.